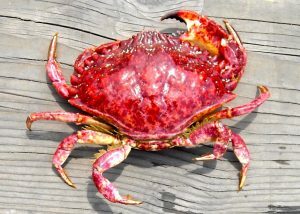 The Red Rock Crab is a species of common arthropods found in parts of the continent of North America. 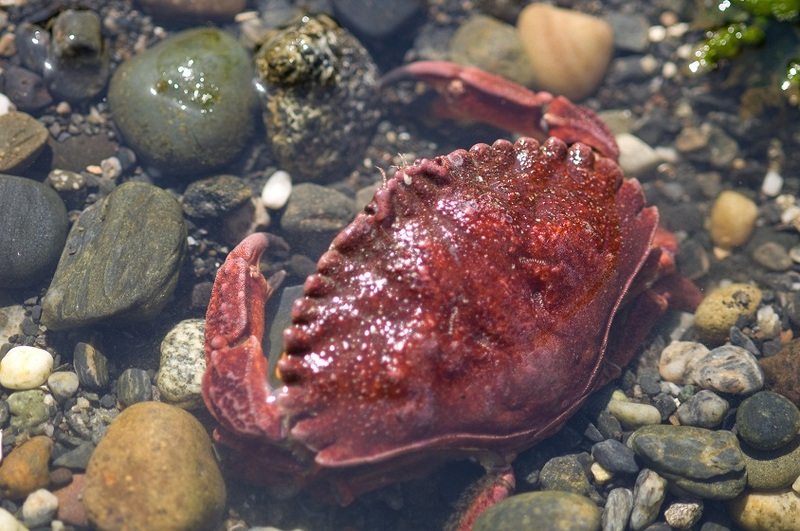 The population of these crabs is static, and have a high density throughout their habitat. The species is not considered very edible by humans since they have very less amount of flesh in the body. Size: The carapace practically covers up almost the entire body, and is up to 20 cm by width in males and 17 in females. The shell is much wider than its length, while the dorsal surface is almost smooth, devoid of bumps or tubercles like many species have. Limbs: The total number of legs is eight, and the two characteristic claws that are used like pincers (total of ten legs). The pair of pincers is larger with distinct black tips. 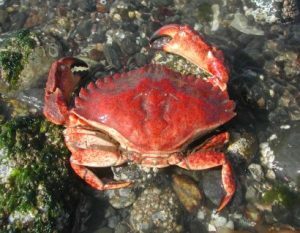 Eyes: The crab has a pair of compound eyes that protrude out of their carapace, above the two sides of their mouth just like most other crab species. Sexual Dimorphism: In the male, the plate underneath the body is narrow, while in the female, it is relatively wider. 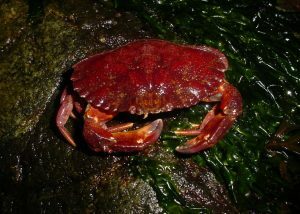 The red rock crab can live up to 6 years in the wild. They are found along the western coastline of North America, including the north-east Pacific coastal waters, the coasts of Central America, as also Mexico and nearby islands. Red Rock crabs inhabit the rocky parts of the turbulent and breezy seashores, in bays, or reef-type locations, situated just above the limit of the sea spray. 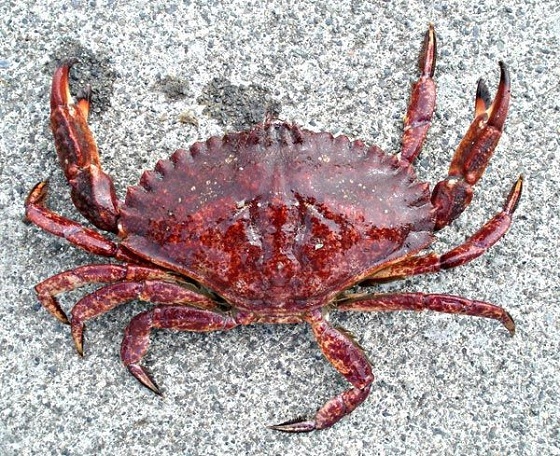 The red rock crab is a quick-moving and agile creature, and hence, are hard to catch. Within their territory, they also display aggressive behavior. The arthropods rarely tolerate other species to come near their own area. A male crab will often attack another male, mostly when the mating season arrives. 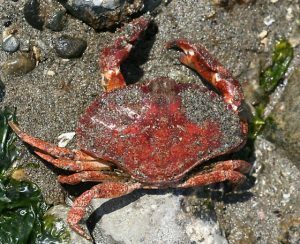 These arthropods are mostly carnivorous and feed primarily on snails, barnacles, oysters, clams, abalone, algae, and smaller crabs, while at times, sampling plant matter as well as scavenge on dead animals. 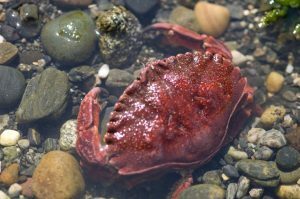 The mating of the red rock crabs continues between July and August. 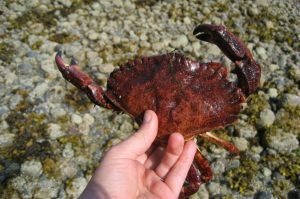 Like many other species of crabs, the copulation process starts when the female crab comes into molt. The male partner guards the female during the time of the latter’s casting off the old carapace and waiting for the new exoskeleton to get hard and protective. After mating, the sperm of the male crab gets passed in packages up to the abdominal flap of the female, settling there until the eggs get fertilized. The baby crabs start their life cycle from the larval stage, as they hatch out of the eggs. When the eggs are released, they get scattered on the substrate before hatching into very small larvae after four months. The planktonic larvae grow up passing through various life stages in the column of water. They develop consuming algae and other microorganisms. The juvenile young crabs do not get parental care during their developing process. They look different from the adults, often being white, or with stripes in red and white. The hard carapace saves them from being easily captured by predators. This structure begins growing right from the prime of their life. After every molting, the crustaceans get a new shell. Red rock crabs have the ability to shed one of the limbs if it gets stuck or they are attacked by predators. They can still keep moving without the limb, while a new leg grows to replace the lost one. Their patterned red/orange color serves as a visual paradox to enemies, helping them camouflage in the sand and rocks. Almost 42 species have been known to prey upon them. Their most common predators are large fish, sea otters, and various species of squids and octopuses. 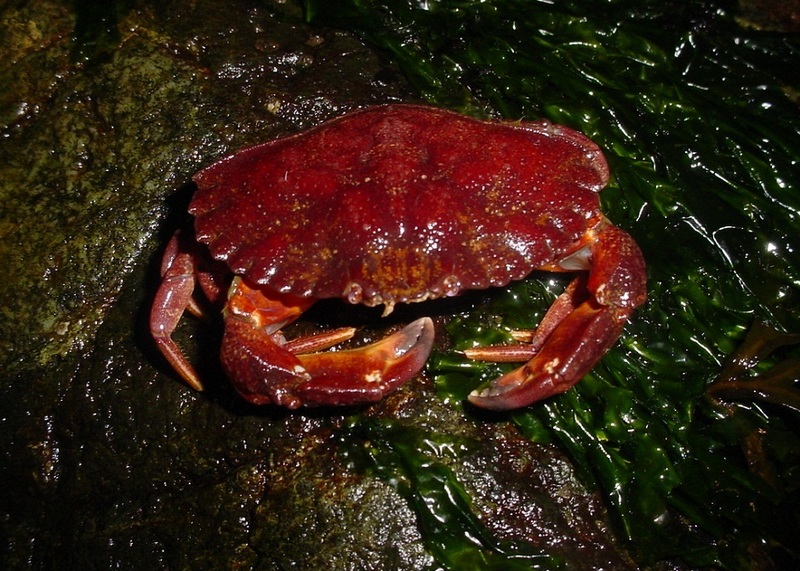 The baby red rock crabs often confuse the researchers since they look different from their adult counterparts, often being white or with red and white stripes. The crab prefers living close to bays and estuaries as they cannot osmoregulate. The Red Rock crab is a popular choice among the fishermen as a bait to catch fish.